Brewer Description: (from bottle) A collaboration. 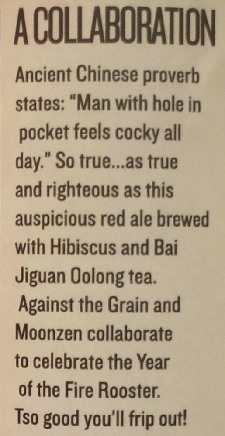 Ancient Chinese proverb states: “Man with hole in pocket feels cocky all day.” So true… as true and righteous as this auspicious red ale brewed with Hibiscus and Bai Jiguan Oolong tea. Against the Grain and Moonzen collaborate to celebrate the Year of the Fire Rooster. Tso good you’ll frip out! Intro: A 650ml bottle with no bottled on or best before date. Poured into a Lost Abbey teku glass. Appearance: A clear copper amber colour with a slightly less than two finger off white head that dissipated fairly quickly and left only sparse lacing. 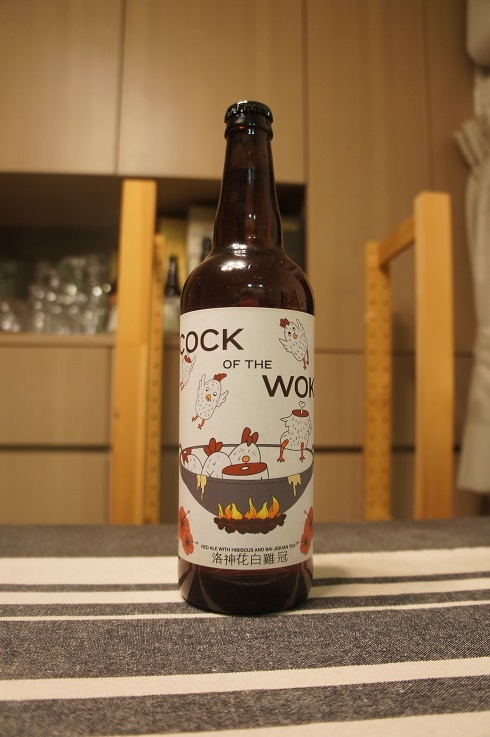 Aroma: Tea, sweet lychee, flowery with hints of biscuit malt (note: I do not know what hibiscus or Bai Jiguan tea smells or tastes like). Taste: Sweet fruity like raspberry, light floral tea with a hint of biscuit malt and bitterness. 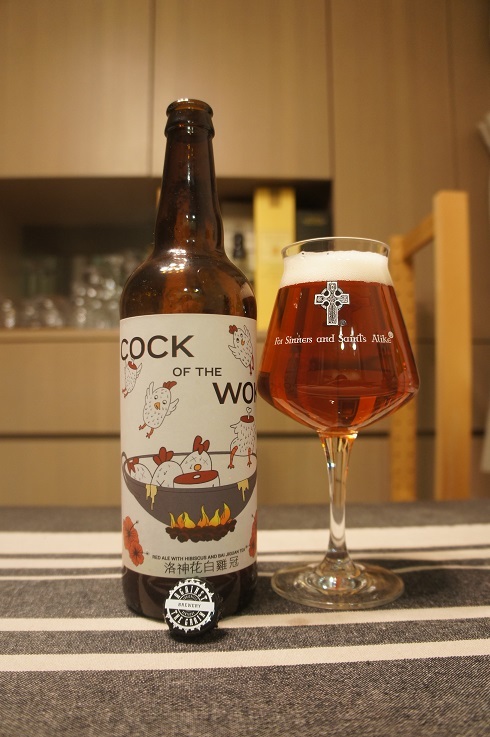 Overall: Taste was a nice mix of fruity and floral. Carbonation was on the light side though which made it a bit tea like/watery. But still, it’s easy to drink and good on a hot day.